Social media, online forums and social apps are a fun way to communicate with friends and other like minded people. Sadly though, most of us who have spent time online would most likely have been exposed in one way or another to some of the not so nice behaviour that plays out in the cyber world. Whether it is a nasty uncalled for comment on a photo, a belittling or insulting status update aimed at you, a personal attack on another individual’s opinion in a comment discussion or a nasty response to a tweet - it happens and this awful kind of behaviour is a very real part of the online world. The nastiness may have been directed to you, someone you know, or perhaps it was an occasion where you were simply a bystander and seeing the impact and fallout of cyber bullying both scared and saddened you. Whatever your experience is, there is no denying that bad behaviour online can cause a ridiculous amount of damage. If you think this kind of thing is tough to handle as an adult, just imagine for a moment if it was your child or your child’s friend who was on the receiving end. We live in a day and age where our kid’s social lives will inevitably cross over into the online world and we need to continue to arm ourselves and them with all the information we can to help them navigate their way through both the good and the bad that exists in this virtual playground. Technology on large is fun, useful and a fabulous way to connect with friends. But more often than not, kids don’t put a lot of thought into what they type when they are on Instagram or in a group chat. Most of the time, our kids don’t intend any harm. They simply don’t realise that what they think is an offhanded comment or a joke could have the potential to cause harm and anguish to the person on the other end. Let’s face it – kids generally live in the moment and often just don’t think full stop. That being said, if we are going to allow our children access to the online world via social media and apps, then the reality is they need to understand that they have a responsibility to behave respectfully and understand the implications of their actions when they are online. It doesn’t stop there, we parents also have a responsibility to guide them and support them whilst they are learning. As a mum of 3 kids who makes a living online, Cyber safety is something I am very passionate about. My husband and I along with our two older kids are big supporters of Cybersmart's Chatterbox program and am more than happy to help spread the word about this awesome initiative. Chatterbox from Cybersmart is a series of downloadable audio clips in a conversational format. 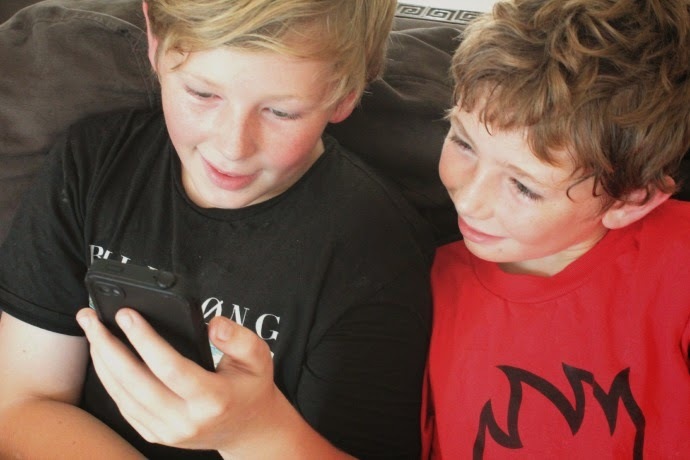 Through these 12 minute videos, we parents have access to up to date and jargon-free information on cyber safety, including targeted steps to navigate our way through the challenges our kids face when online so that they get the maximum benefit of the good stuff that comes with modern day technology. The Chatterbox conversations can be downloaded and accessed whilst you are at home, or on a mobile device so that no matter where you are you have a go to place for the latest in cyber safety tips and trends and new episodes will be released on a regular basis throughout 2014. 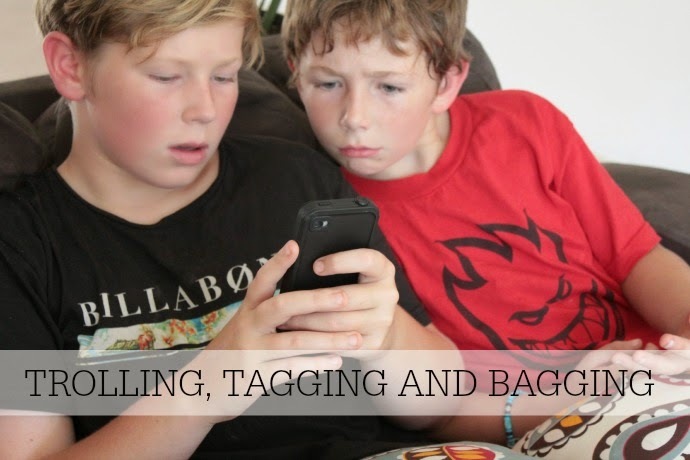 The latest Chatterbox video is titled Trolling, Tagging and Bagging and discusses comments, status updates, trolling, hashtagging, respectful communication and cyber bullying. This episode is an absolute must for all parents to watch. Don’t forget you are not alone in any questions or concerns you have about your kids and cyber safety – in fact there is a whole community of parents over on Cybersmart’s Facebook page and I encourage you to pop on over and check it out. Consider joining in the discussions because your advice could help other parents in the same way theirs could help you. 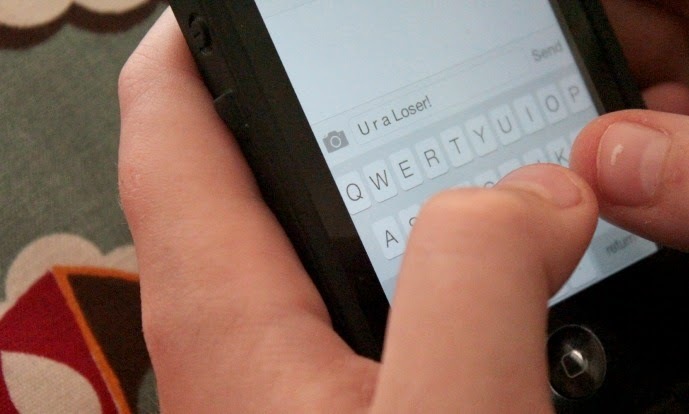 Have you or your kids ever had to deal with Trolling or Cyber Bullying? Have you got any advice or experience you can share with us?